Can your call center operate 24/7 in both English and French? If you see your existing customer service department as a crucial part of your business' operations but know your client service representatives are getting run down and efficiency is not what it should be, it might be time to rethink your strategy. If the cost of constantly hiring, training, and scheduling your internal staff is putting your operations or sales and marketing budgets on the brink, the status quo is not working. It is vital that you keep customers happy while handling their complaints, questions, and service requests. 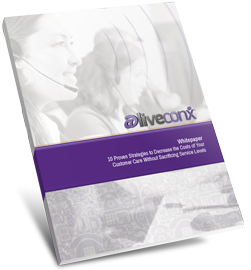 If you know it's time for a change but aren't sure where to begin, download this FREE whitepaper to start with these 10 proven strategies that will help you rein in costs without lowering your customer care standards.